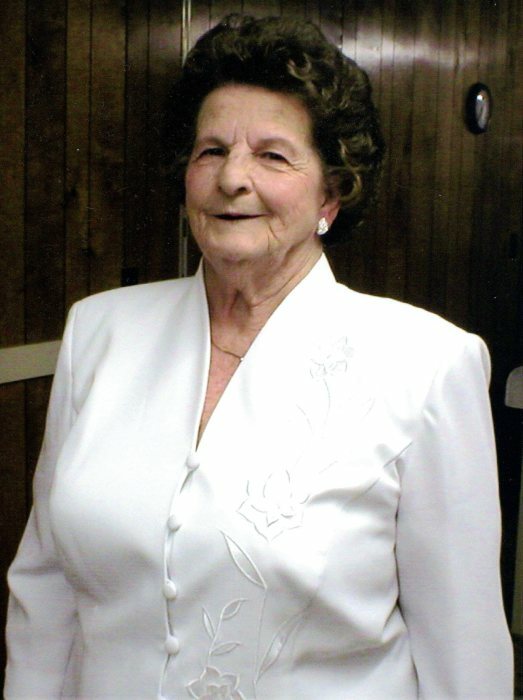 Lossie Bell Wofford, born January 14, 1923, to the late Paul and Emmie Goss of Sonoraville, passed away on February 12, 2019, at Advent Health Gordon due to heart failure. She was preceded in death by a brother and sister-in-law, Hubert and Frances Goss; sisters and brothers-in-law, Ruth and Glenn Griggs, Irene and Bobby Barnett, and Lenora and Buster Carney; a son-in-law, Kenneth Wable Jr; and a grandson, Kenneth Jeffrey Wable. She is survived by her daughter, Peggy Wable; her son, Michael Wofford; grandchildren, Karrie Wable, Jennifer and Brandon Harrison, and John Wofford; great-grandchildren, Brooke Brown, Austin Meadows, and Hailey Bramlett; and several nieces and nephews. Services to honor the life of Lossie Bell Wofford will be held Saturday, February 16th at 2:00 PM from the chapel of Max Brannon and Sons Funeral Home, with Rev. Herman Parker and Dr. James Shope officiating. Music will be arranged by Shane McDougle. Burial will follow in the Erwin Hill Church of God Cemetery. Pallbearers are Dwayne Parker, John Parker, Sam Wable, Brett Wable, Allen Palmer, and Jason Egan. The family will receive friends at the funeral home on Friday, February 15th from 5:00 PM until 8:00 PM, and again on Saturday from 1:00 PM until 2:00 PM.